The intervertebral disc material has a spongy consistency similar to that of a raw scallop. It is bound by the annulus fibrosis, which has the appearance of a biologic nylon. As the disc degenerates or in the case of traumatic injury, the firm scallop-type material can herniate or pass through the annuls or lining of the disc and cause compression of the spinal cord and nerves. A disc extrusion is often also called a disc protrusion or a disc herniation. When the disc material leaves its normal position and causes compression of the spinal cord and nerves, it may result in pain, numbness, or even weakness. The majority of disc extrusions do heal on their own. It can take up to a period of six weeks to a year for the disc protrusion to heal on its own during which time patients often have to contend with the symptoms. 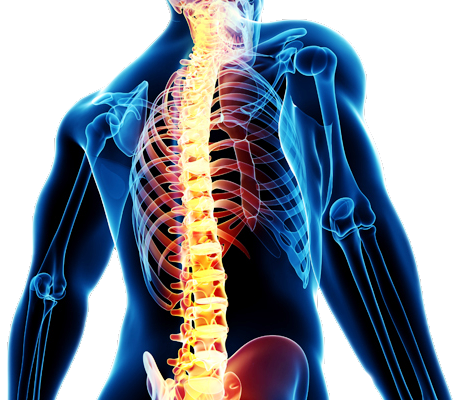 In situations where the patient cannot tolerate the pain, numbness, or weakness that accompanies the disc herniation, the patient may be treated with medications, rest, or steroid injections to help manage the symptoms. In situations where the symptoms do not favorably respond to these treatment modalities, patients do benefit from surgery. Dr. Ghosh is able to address disc herniations using minimally-invasive techniques working through small channels or ports to access the spine and remove the disc herniations using microsurgical technique. Dr. Ghosh looks for more conservative modalities of treatment such as medications and injections as the first line of defense before moving to surgery for his patients. The minimally-invasive techniques that Dr. Ghosh employs for his patients do minimal tissue and muscle damage and enables patients to return to a high level of function and activity following surgery.